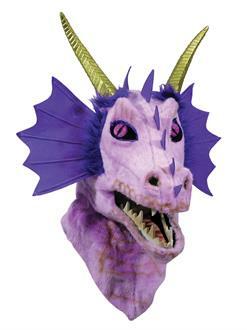 Intimidate any knight while out wearing this Purple Fire Dragon Costume Mask. This costume mask is made of plush polyester, featuring a special moving jaw that make fire breathing easy. Complete your look with a scaled dragon jumpsuit and prepare for battle!